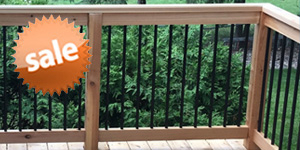 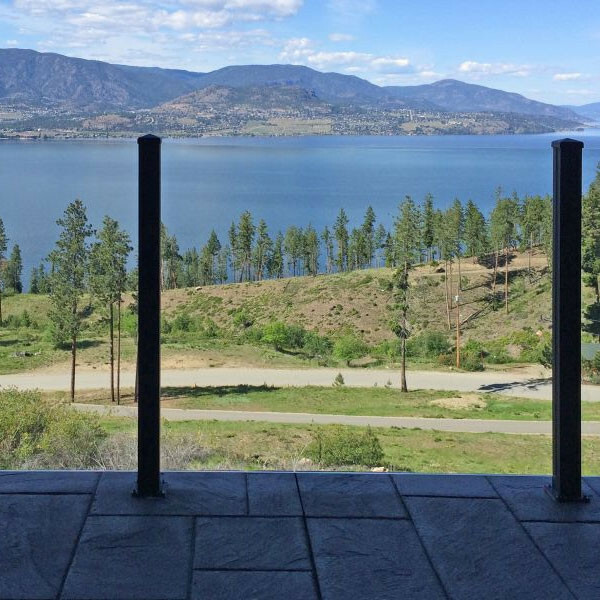 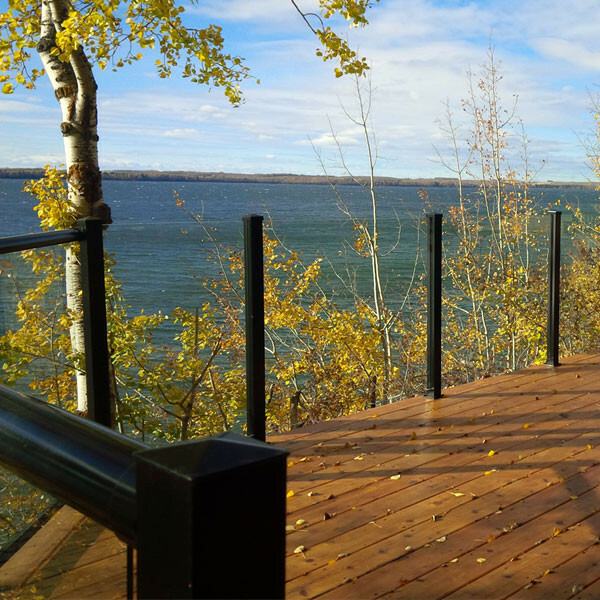 Without connectors or adapters, Scenic Posts by Century Aluminum Railings make installing a beautiful glass railing system simpler than competitors. 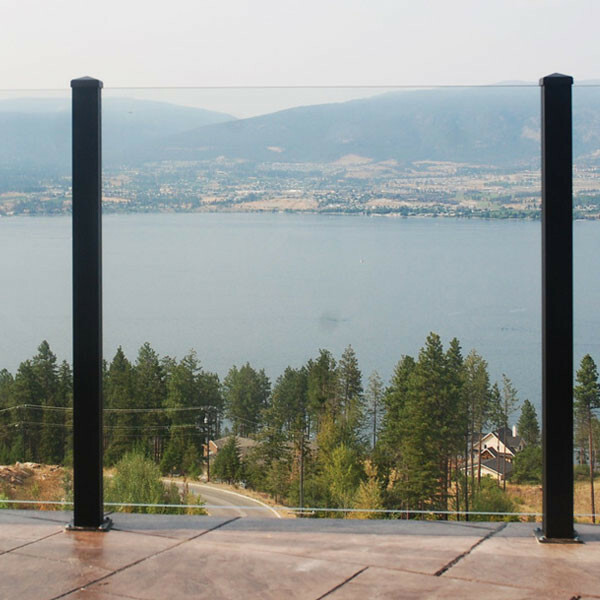 The integrated glass channel built into Scenic Posts allows the glass to slide securely into place without additional parts or pieces. 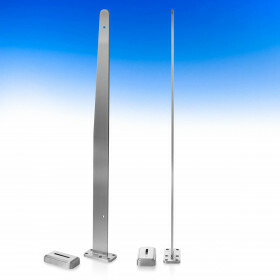 The design of the channel allows for angles from 0 to 22.5 degrees using the End Post, 0 to 45 degrees using the Line Post, and from 90 to 135 degrees using the Corner Post. 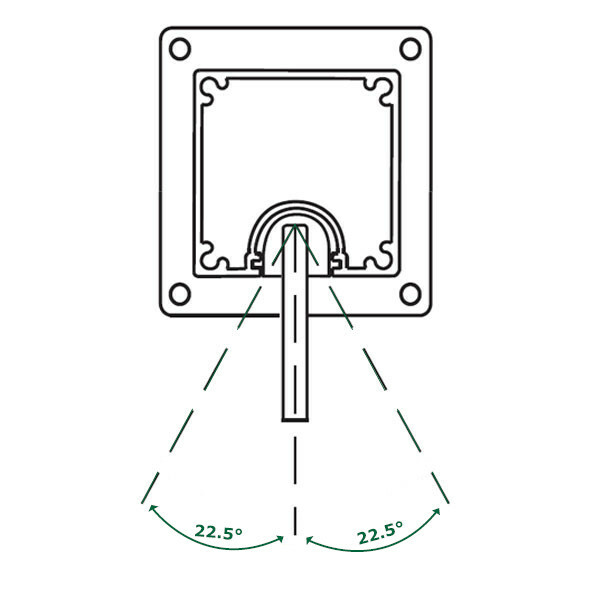 Wall posts and end posts have one channel, line posts have two channels to secure glass on opposite sides, and corner posts have channels on two adjacent sides. 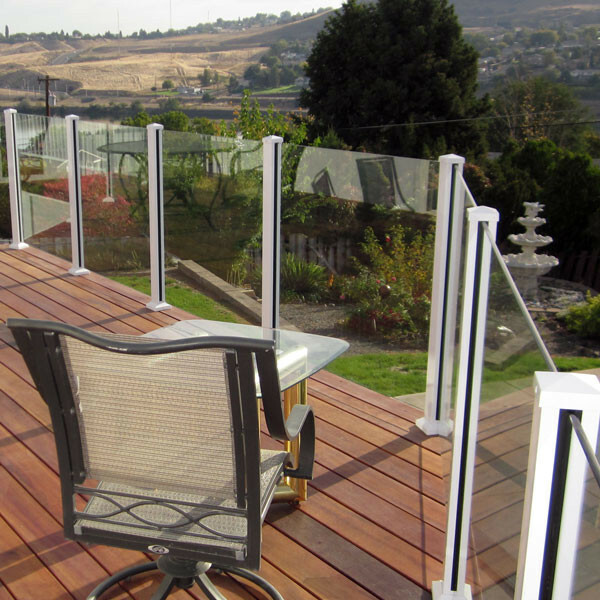 This system is secure without a top or bottom horizontal rail, so all you'll see is your view! 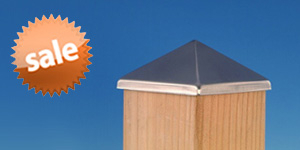 Available in black or white to enhance any decor, the post includes a pyramid post cap. 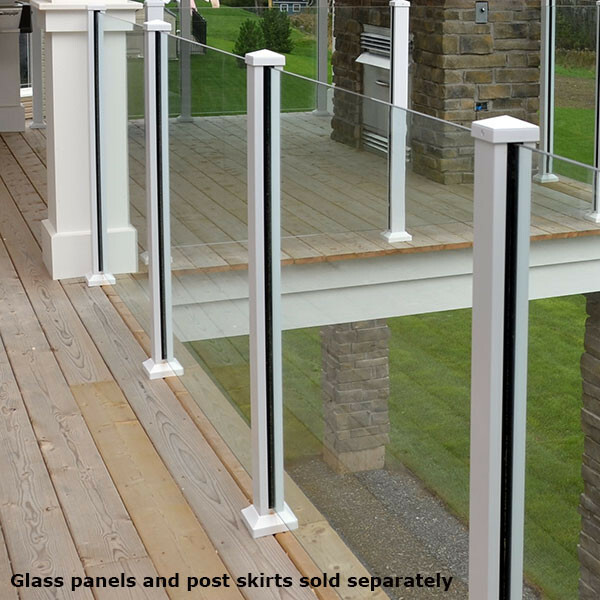 An optional Post Skirt is sold separately to cover the post's base for an attractive, complete look. 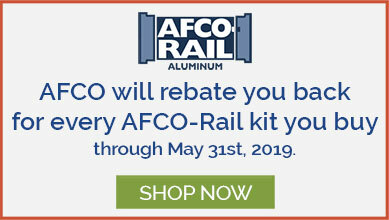 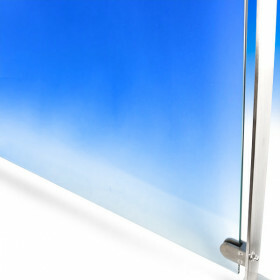 DecksDirect.com does not offer glass panels for this rail system. 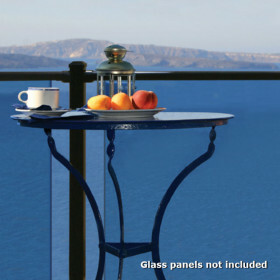 Panels must be sourced locally. 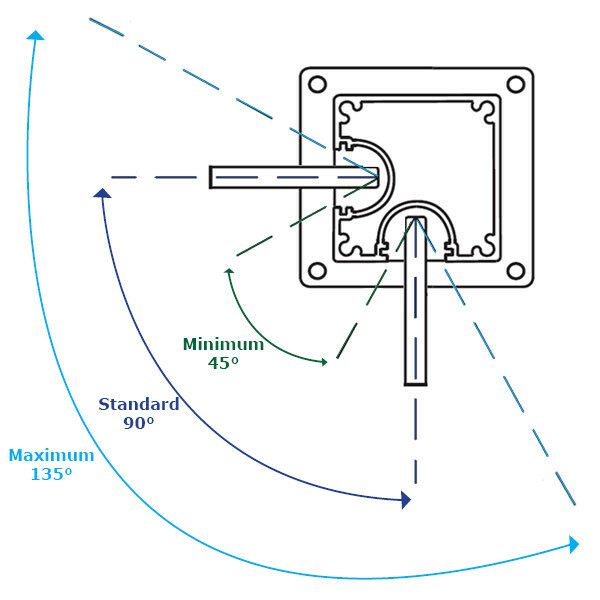 Refer to this ordering guide for information. 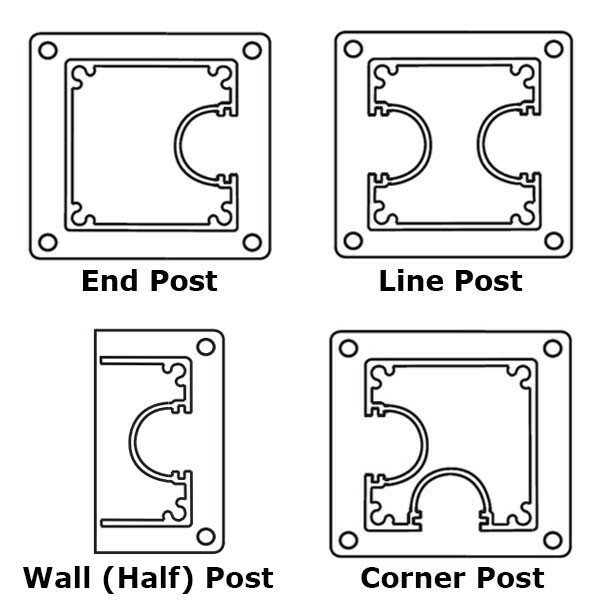 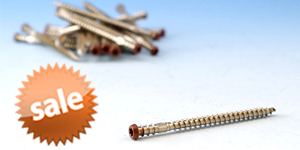 (width x depth x height) Line, End, Corner Post: 2-1/2" x 2-1/2" x 42"
Wall/Half Post: 1-1/4" x 2-1/2" x 42"